A great little city with a mixture of olde world charm and modern convenience, Hampton is located on the northern end of the Hampton Roads family of cities. This coastal community has everything you need for enjoying life. Summer Creek Estates uniquely offers its residents country living on expansive 3+ acre homesites in a suburbanesque setting. 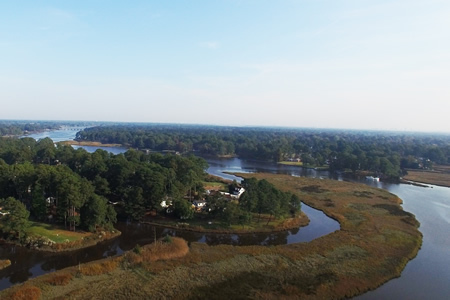 Only a few lots remain in this waterfront community bordering Cedar Creek in the peaceful city of Suffolk, VA. Single-family homes are offered at an amazing value with prices starting in the mid $300s. Elizabeth Place is a community that lives up the inspirational figure for which the river is named after. The famous royal was admired for her beauty and charm, and the homes built by Wirth Development Corporation embody the same characteristics. The landscape surrounding Elizabeth Place inspires its residents to enjoy the simple luxuries such as nature, water, and peaceful living. INTEGRITY, INTELLIGENCE, DEDICATION & EXCELLENCE. Our steps are calculated and meaningful. Our leaders lead by example, not by theory. We are in constant search of improvement. Our track record illustrates our methods work. We provide knowledge and direction to succeed. We invest in the most efficient and effective of tools. We are thoughtful and creative in all our ways. We engage the power of media to propel our business.